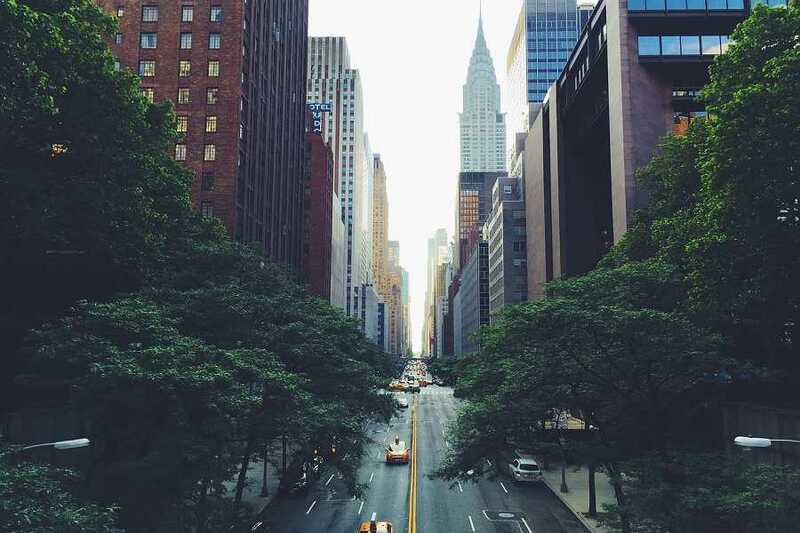 Drive down iconic streets with your Sixt car rental in Manhattan. Pick up your premium Manhattan rent a car from one of our locations and see all the borough has to offer. Alternatively, take a trip outside of the city and explore Upstate New York home or the neighboring states. From Greenwich Village to Harlem, from Battery Park to the Niagra Falls, you can experience it all with Sixt. Visit Manhattan in the winter in order to see the island dressed up for Christmas. There is a lot on offer here every winter, like the Radio City Christmas Spectacular, the Rockefeller Center Christmas tree lighting ceremony at the beginning of December, and much more. You can kick the season off at the Macys Thanksgiving Day Parade at the end of November. Stroll up 5th Avenue to see the decadent window displays in the department stores. Visit one of the outdoor ice skating rinks, like Wollman Rink in Central Park or the one at Rockefeller Center. If you need a break from the cold, go to the One World Observatory in Lower Manhattan for unparalleled views of the city and New Jersey. Or go to the Tenement Museum, the Metropolitan Museum of Modern Art or one of the many other museums. You will never be at a loss of what to do in the cold in this dynamic city! Easily reserve your Sixt rent a car online before hitting the Big Apple. Our Downtown Manhattan car rental location offers a variety of top quality rental vehicles for your visit. Choose from luxury Cadillac sedans and SUVs to cruise the streets in comfort and style. Check out of Manhattan car rental deals for your next visit to the city. We offer comprehensive car rental service with a variety of extras to make your trip run as smoothly as possible. Driving in Manhattan can be intimidating but with foresight you can have a smooth drive in your Sixt car rental. We recommend you take advantage of our optional GPS service to know about the shortest route due to traffic. Also, make sure to look out for signs listing parking regulations on city streets. Most streets also require paying a meter, which you can do via cash, coins or credit card. Viewing a map before driving is also helpful as some areas of the city are pedestrian-only. Speaking of pedestrians, many New Yorkers and visitors walk everywhere and it is important to pay attention. During certain hours turning may be prohibited at some intersections and will be marked by signs. And unlike in other US cities, drivers cannot turn right at red lights unless there is a separate turn signal. If you go beyond the borders of Manhattan in your rental car there are several options. The Manhattan, Brooklyn, and Williamsburg bridges take you to Brooklyn, while the 59th St. Bridge takes you to Queens. Upper Manhattan also has connections to the Bronx. And two tunnels and the George Washington Bridge connect Manhattan to New Jersey. After, drive from Battery Park up the Hudson River to Harlem, a long-time home to African-American culture. In Greenwich Village, you can still find clubs and small restaurants with a hint of the Bohemian past of the neighborhood. Check out the bar scene in the East Village or scratch your shopping itch at the boutiques in Soho. And for an international feel and a budget meal, head to Spanish Harlem or Chinatown. A secret in the business-heavy east 50s in Midtown East are the many hidden Japanese shops and restaurants. Mingle with Japanese businessmen over a bowl of ramen or buy some high-end pottery. If you head out of New York City, there is much to explore! There are many natural beauty sites including the Delaware Water Gap National Recreation Area. This historic valley with its stunning waterfalls has been a popular vacation destination since the Victorians. As part of the Appalachian Trail, it's a beautiful route to hike. For more tips, check out our Upstate New York road trip guide. Manhattan is the center of finance, media, culture and fashion in the US. When you find yourself in the city on business you may need to go from meeting to meeting, on your schedule. With a car rental in Manhattan, you can do that easily, although be sure to factor in time for traffic and to find parking. There are many parking garages and lots located throughout the city, but take note of the cost as there could be different prices on the same block.